Nazi Ghosts... sorry?, no. Make that Nazi Zombies!!! It's confirmed - Weird World War 2 is the new Black... Sun. 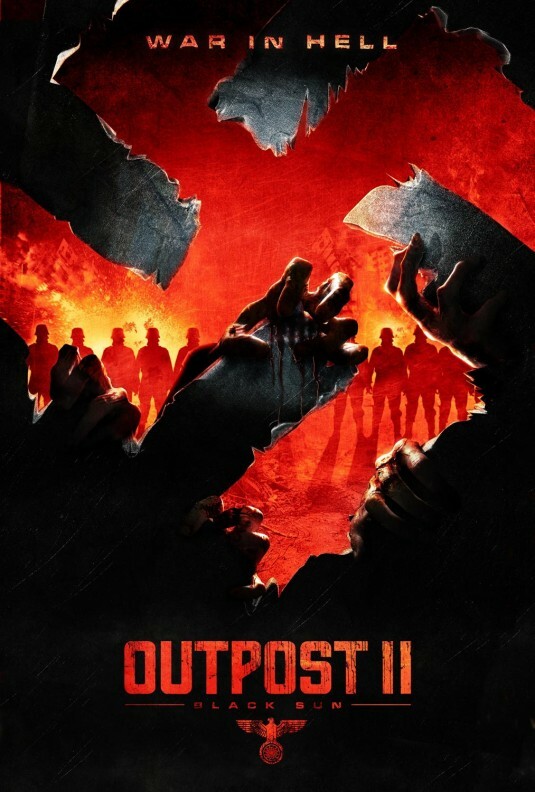 We loved 2008's Outpost. It came out of nowhere small budget affair put together by one of the closest knit production teams is movie history. It was filmed for the most part in a location not much bigger than a primary school gymnasium and starred Ray Stevenson (Rome). Outpost - Christie's '10 Little Indians' in a Nazi Bunker. 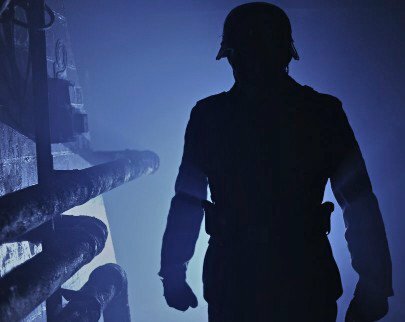 Whilst many felt it suffered a little from cliched characters the end result was dark and gritty with the oppressive feel of a 1940's bunker. 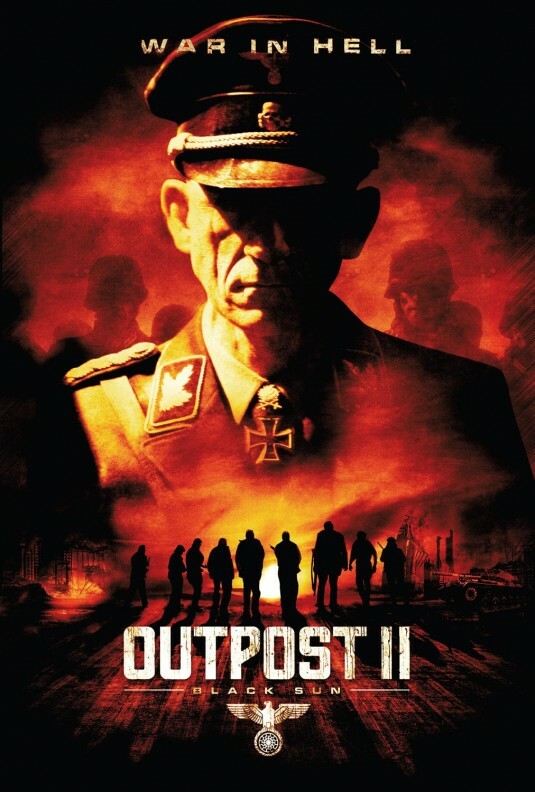 It was well performed a delivered a healthy enough dose of Weird World War 2 to whet the appetite for a the genre is is destined to be. Whilst the film was touted as a 'ghost story' with no mention of zombies, there was no escaping how the fans re-imagined it. The popularity of Weird World War 2 is growing. But let's be honest, as a genre of it's own, it is still in its infancy. Unmistakable silhouette. Image from the official Outpost II: Black Sun Facebook page. 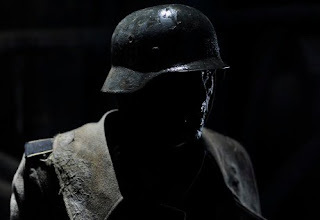 Tabletop and board games such as the incredible Incursion from Grindhouse Games and Secrets of The Third Reich by West Wind Productions are creeping into more than just a niche market. In film the subject has been touched on by Spielberg, in Raiders, Del Toro, in Hellboy and Snyder in Suckerpunch, with more to follow soon. Something tells us it won't be long before we find diesel-punk zombies and war-walkers in cereal boxes and prime-time reality TV shows... perhaps. We think Treyarch may have a lot to answer for. After a year writing and 8 months financing the feature Steve Barker has returned once again to direct and co-write with fellow original team member Rae Brunton. They recently finished the 28 day shoot. There's not trailer as yet, but it's almost on us and the fans were right about the first movie - it's zombies, not ghosts. Find out more at the official Outpost II: Black Sun Facebook page and expect to see an early 2012 release for the movie in the UK. Please note that I'm not recommending any of these, just letting you know they exist. Good call RavenFeast - The Keep is definitely worth a watch in our book. Out Post 2 huh? I haven't seen one yet but after reading this...I need to watch it tonight! Let us know what you thought ZombiEpoch. We're still chomping at the bit to see the trailer too! SORRY, BUT YOU'RE WRONG-THEY'RE NOT ZOMBIES-THERE'RE GHOSTS. ZOMBIES HAVE NO ABILITY FOR INTERDIMENSIONAL TRAVEL & THEY CAN BE KILLED. ALSO, ZOMBIES CRAVE HUMAN FLESH FOR SUSTINANCE AND ARE BASICALLY RETARDS-QUALITIES NOT EVIDENT IN THE NAZI MEANIES WHO CLEVERLY MURDER & TORTURE. THE OUTPOST BADDIES ARE CLOSER TO THE TROULBESOME RAZOR-KNIFE WIELDING ALBINO TWINS IN "MATRIX II" WHO APPEAR UNEXPECTEDLY UNHINDERED BY PHYSICAL BARRIERS. SO, DO YOU GET IT? IF NOT, WATCH "OUTPOST" AGAIN, AND TRY TO STAY AWAKE THIS TIME!